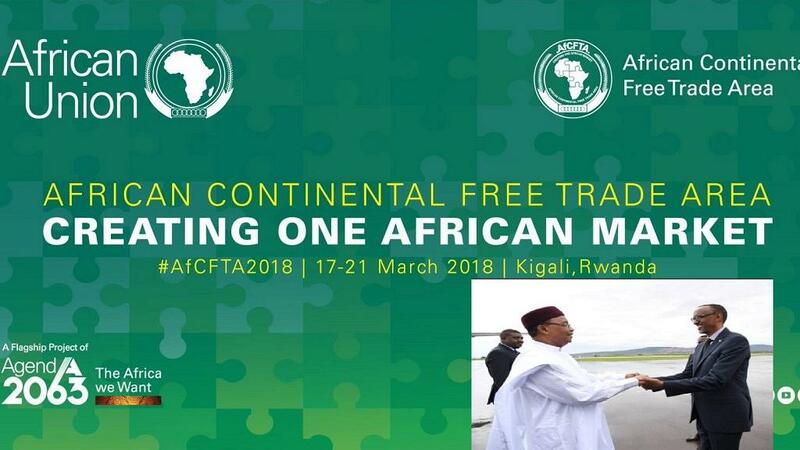 The African Union Extraordinary Summit on the African Continental Free Trade Area that is being held in Kigali, Rwanda is steadily making progress despite earlier setbacks including snubs by Nigerian president Muhammadu Buhari and Uganda’s Yoweri Museveni. The Free Trade Area is one of the flagship projects of Agenda 2063 and aims to deepen the integration process, by allowing Africans to trade and move freely across the continent. The project is being driven forward along with other key related initiatives such as the Single African Air Transport Market and the Protocol on Free Movement of Persons and the African Passport. By signing and ratifying it, we would signal that we are determined to play our part as a global player while promoting the continent’s economic interests as one, through a single African market. The Kigali Extraordinary Summit was agreed to during the ordinary session of the Assembly of the Union held in Addis Ababa in late January 2018. Rwanda’s president Paul Kagame who also took over as chair of African Union pledged to achieve free movement of persons this year. Nigeria’s Buhari opted out of the Kigali conference on Sunday, saying he wanted further domestic consultation on the continental deal after media reports said labour unions in Africa’s largest economy warned against the deal. The Chairperson of the Commission of the African Union, Moussa Faki Mahamat urged countries to overcome fears and self-interests as they continue to be barriers of regional trade and growth. Rwanda’s foreign affairs minister, Louise Mushikiwabo, who also doubles as the Chairperson of the Council of Ministers said the agreement should come into force as soon as possible. “By signing and ratifying it, we would signal that we are determined to play our part as a global player while promoting the continent’s economic interests as one, through a single African market,” she said. Intra-Africa trade currently stands at about 14 per cent with the agreement expected to facilitate an increase to about 52.3 per cent by 2022.